Luxury seating and elegant designs don’t have to be limited to the indoors. Outdoor patio furniture can have all the comfort and style of indoor furniture, while still being weather resistant. 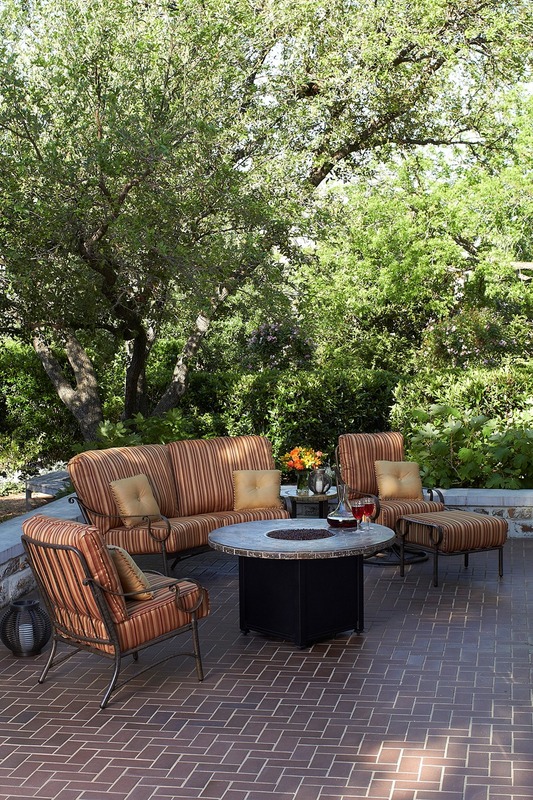 Outdoor furniture collections today feature fun accessories, such as a Lazy Susan or ice bucket, as well as “interior-like” pieces such as a swivel chair or rocker. 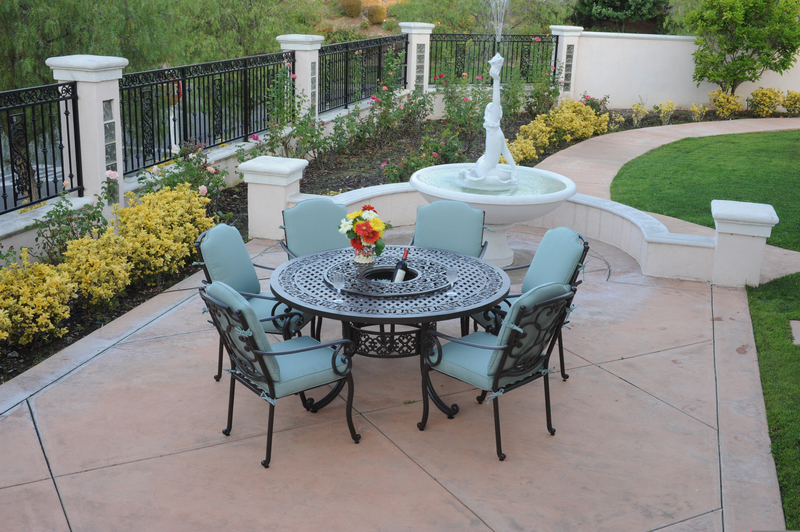 Meadow Decor’s Athena cast-aluminum, powder-coated patio dining set is both durable and stylish. The 60-inch circular table, with a built-in Lazy Susan and an optional ice-bucket accessory, is perfect for customers who love to entertain. Meadow Decor’s luxury dining chair or swivel rocker complements this set. Designed with curled arms and old-world craftsmanship, the Ridgecrest Collection from Woodard is charming, stylish, and sophisticated. Featuring curved details on the arms, slatted bars on the back, and an intricately detailed casting that melds the arms and legs together, Ridgecrest offers subtle sophistication in any outdoor setting.